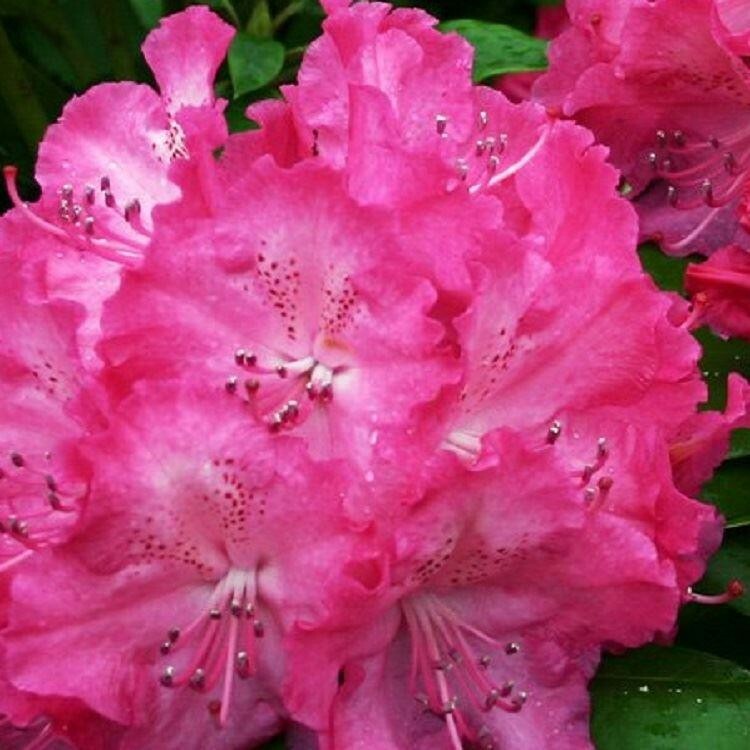 An outstanding variety of Rhododendron, 'Germania' produces huge buds in Spring that open out to form very large, trusses of deep-pink flowers. It has large, rounded pale-green leaves that are evergreen and last all year round. Tough, hardy and easy to grow, 'Germania' will be sure to look spectacular in any garden. Can be planted on it's own or as part of a bed/border where it will dazzle and look superb with other flowering shrubs. 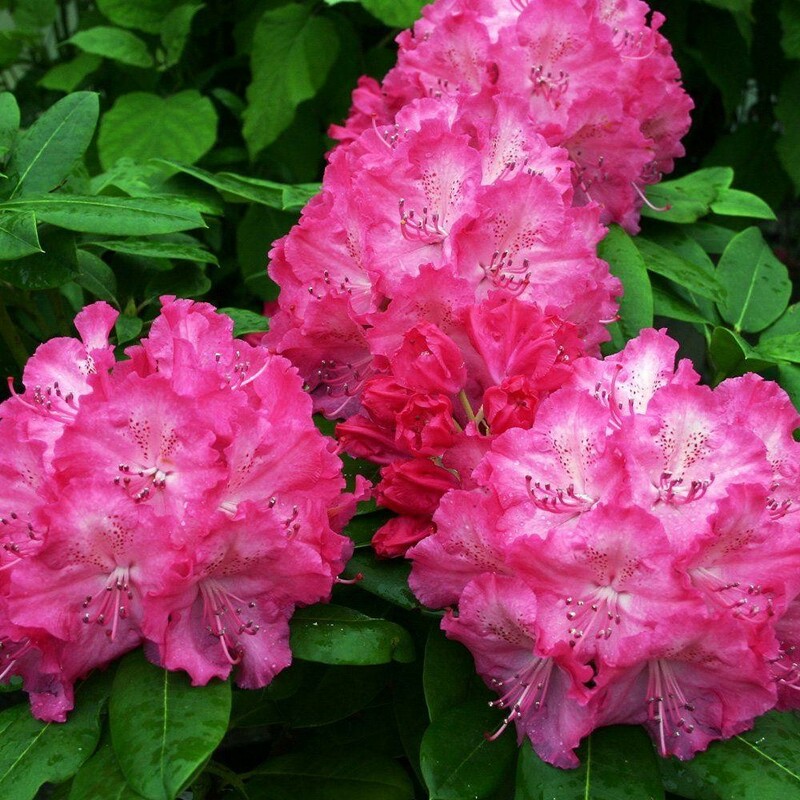 Prefers slightly acidic soil, keep moist yet well drained in a part shady position. This shrub will reach a max height of approx 150cms in around 10 years. Supplied in approx 2 litre containers.